Get ready to make these charming patterns up by the dozens! The Rudy Lapel Pins are a HUGE hit at craft fairs!! And relatively simple to make with any machine. 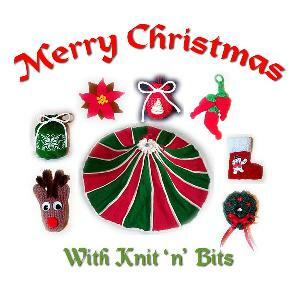 A collection of 8 ORIGINAL designs of Ornaments, gift bags, lapel pins & a tree skirt.